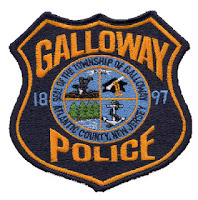 On May 20, 2013 the Galloway Township Police Department as well as the Egg Harbor City Police Department received two (2) separate reports of Impersonation / Fraud. Victim(s) reported that a White Male approached their residences’ identifying himself as an Atlantic City Electric employee. The unidentified male requested that the homeowners’ give him forty-five ($45.00) dollars in cash so that he could “clean their meters.” On both occasions the male advised that the fee needed to be paid at the time of service to him directly. On one occasion, the homeowner requested identification and the male refused to provide her with any stating that he was going to come back later and rip her meter off of her residence if she didn’t comply. The male left the area without further incident and was described as a stocky white male wearing a safety style vest and driving a Black pick-up truck; no further information. Second occasion: White male thin build approximately 5’07 to 5’08 between twenty (20) to thirty (30) years of age, wearing a safety style vest also driving a dark colored pick-up truck approached the residence and was able to gain access to the residence by the homeowner. No injury or stolen items have been reported however Atlantic City Electric has confirmed with Police that none of their employees are assigned to or involved in this incident or this type of solicitation. Anyone having further information or experiencing a similar incident is asked to contact their local police department. Residents should be advised to deny access to their homes to anyone they do not know unless a pre-arranged service agreement has been set up and proper identification has been presented. OMG!! What is happening to this country...please people guard your families and you cant be too careful. I work for Lewis Tree Service as an equipment opperator contracted by Atlantic City Electric. Were also members in local 351. The crew leader of every crew has an A.C.E. ID. Its Manditory. And we all have IBEW member cards. If they can't provide photo A.C.E. ID or IBEW card. They have no buisness with the Electric Company. DO NOT LET IN YOUR HOME!!! Guys like this make my job hell. Even if you are stopped by a police officer, you have the right to ask for ID, (don't roll down your window). If they can't provide proper ID, call 911 and ask for the police dept. they say they are representing. Do you homework people. Times are changing.